From "Captain America: Civil War," to "Deadpool," "Independence Day: Resurgence" and "The Secret Life of Pets" to the return of "Jason Bourne." Let's be real for a second. Between all the commercials, the halftime show and the game to keep tabs on, you may have lost track of all the amazing new movie trailers that dropped during Super Bowl 50 on Sunday. Don't fret, we're here with a handy list to jog your hot-wing crusted memory. Some highlights? We can't decide between shirtless Matt Damon in "Bourne," or Liam Hemsworth in "Independence Day: Resurgence." Guess we'll be seeing both of those movies. "Deadpool" That red body suit thing is a strong look, but Ryan Reynolds is really pulling it off. "Independence Day: Resurgence" Nostalgia alert! It's been ten years since the original with Will Smith. Go see it and feel very old. "Teenage Mutant Ninja Turtles: Out of the Shadows" So many childhood throwbacks. This is the film that you need to see if you want to take a trip down memory lane. "Jason Bourne" Shirtless Matt Damon. And up and coming Oscar-nominee Alicia Vikander. That is all. "The Jungle Book" Anyone else see a nostalgia pattern here? Not complaining. 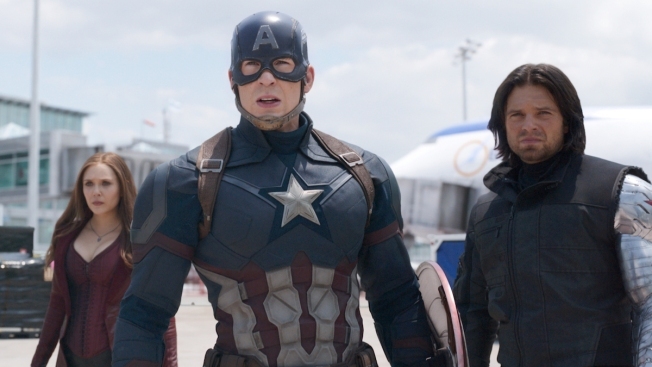 "Captain America: Civil War" Because superhero films never get old. "X-Men: Apocalypse" See above statement. "The Secret Life of Pets" In case you're in the mood for some cute.